Successfully Added J1800 Windows 10 Pro Mini PC - Windows 10 Pro, Dual Core Intel Celeron J1800 CPU, 2GB RAM + 32GB ROM, 1920x1080 Support to your Shopping Cart. Enjoy a better and faster performance with the Windows 10 Mini PC, sporting a Dual Core Intel Celeron J1800 CPU, great connectivity, smart design and more. This compact mini Windows PC comes with a lot to offer. Whether you need more muscle for your gaming, multitasking or are simply looking for a reliable and portable PC on the go, the Windows 10 mini PC will give you all that and more. Windows 10 Pro will give you everything you need for everyday computing and bring a nice and easy-to-use interface to your monitor, making for simple and quick navigation. 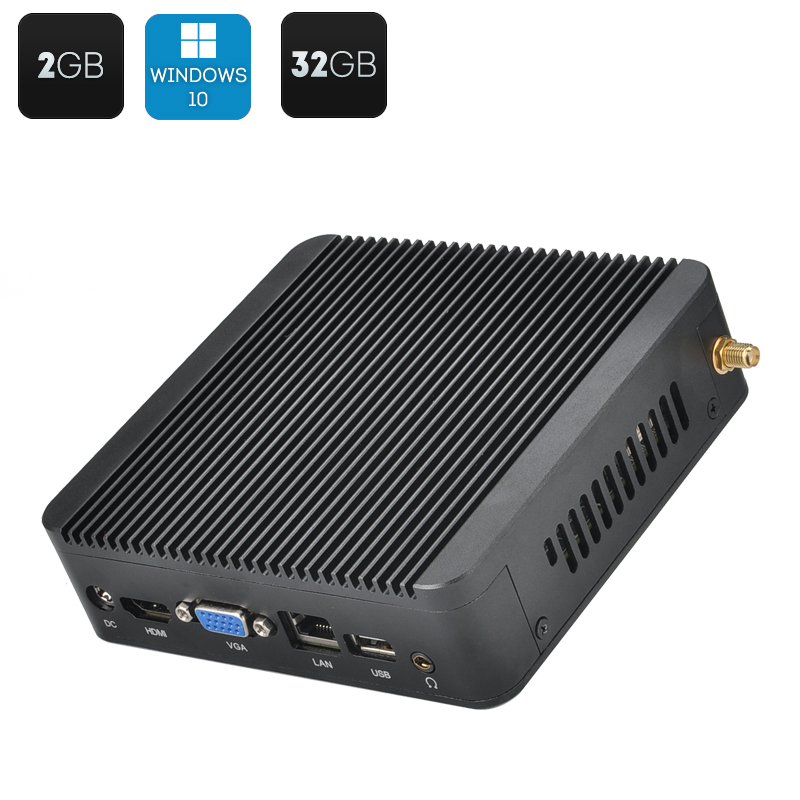 The mini PC is powered by Dual Core Intel Celeron J1800 CPU and features Intel HD graphics, storing lots of power in its compact design. So, whether you are a workaholic or an avid gamer, you will have all the functionality you need in this compact little box. The mini PC comes with three USB 2.0 ports and one USB 3.0 port, letting you have lots of content add-ons at the same time. The mini Windows PC also has HDMI, VGA, COM, OTG and other ports for easy connectivity with other devices. Thanks to the aluminum alloy casing, the mini PC does not require a built-in fan and, on top of power and speed, can offer you a calm noise-free working environment. With its lightweight portable design, the mini PC won’t bulk up your desk and can comfortably fit into the smallest working areas.